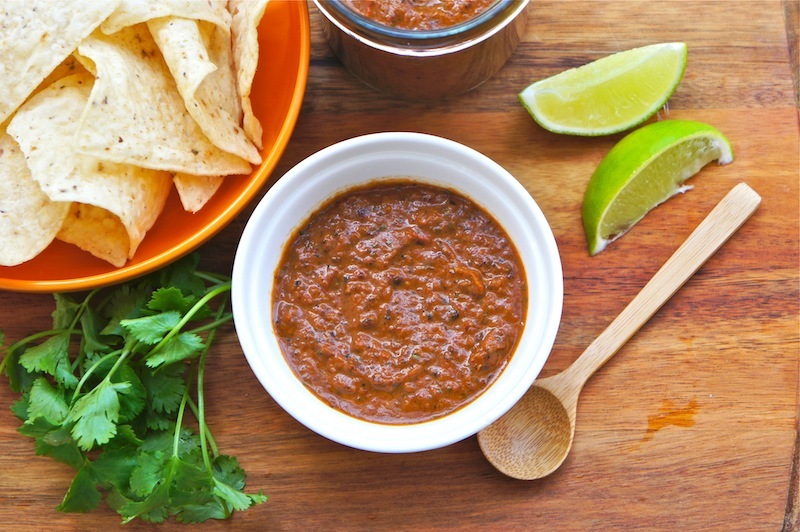 Pan Roasted Tomato Salsa is a great dip. It's packed with the wonderful aromatic flavors. Made with fresh ingredients, namely, tomatoes, Ancho chili, onion and seasoned with lots of chop coriander, and freshly squeezed lime juice. Yummy! Heat the olive oil in a large cast-iron pan on medium to high heat and roast the chilies, tomatoes, garlic, and onion until golden brown in color, about 8 to 10 minutes. Let cool slightly and mix in the coriander and blend to a coarse puree. Season the salsa with lime juice, cumin, paprika, sea salt and pepper.